Acupuncture has proven itself to be effective in treating a variety human afflictions, from sports injuries to degenerative diseases. In the latest research, acupuncture has shown to be useful in reducing foot pain, specifically that emanating from the plantar fasciitis region. Actually a flat mass of tissue, the plantar fasciitis serves the purpose of connecting the heel with the toes. Men and women who spend considerable time standing or walking, especially those who are overweight, often experience pain in this area. In a clinical test, those suffering from foot pain showed greater improvement with acupuncture than a control group that received conventional treatment methods. The test group was also given conventional treatment, which included medications and exercise, in addition to being subject to electro-acupuncture, which is a type of acupuncture that employs a small electric current. 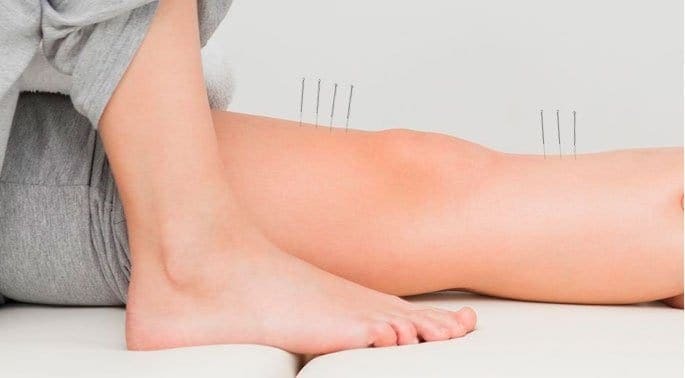 Patients who received acupuncture as their primary treatment overcame their plantar fasciitis pain by a margin of 80 percent, which was much higher than the relief experienced by the control group. A related study showed that acupuncture treatment was useful in both reducing pain and restoring physical functioning of the affected areas. These studies have led researchers to formally recommend acupuncture as a regular plantar fasciitis treatment method. In treating plantar heel problems with acupuncture, the needle is inserted into the wrist. This same “acupoint” is used when treating with acupuncture such conditions as heart pain, insomnia and irritability, and in the acupuncture treatment of specific digestive disorders, including stomach pain and nausea. According to the principles of acupuncture and Chinese medicine in general, this particular acupuncture point has a close relationship with the body itself and is effective in the treatment of of aching joints. In the most recent studies, however, researchers have concentrated on using this acupuncture point in dealing with problems in the ankle and heel. At the end of one study, a group that was treated at that specific acupuncture point showed significant improvements over those receiving other forms of treatment. Acupuncture for plantar fasciitis is only one of the many modern uses of this ancient medical practice.